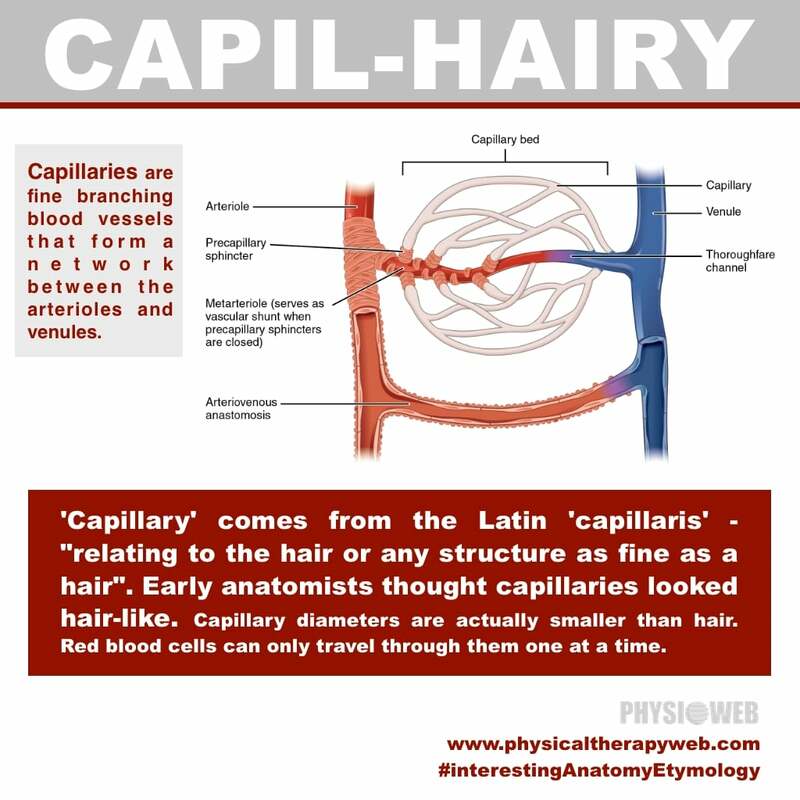 ‘Capillary’ comes from the Latin ‘capillaris’ – “relating to the hair or any structure as fine as a hair”. Early anatomists thought capillaries looked hair-like. Capillary diameters are actually smaller than hair. Red blood cells can only travel through them one at a time. View more anatomical terms with interesting origins. 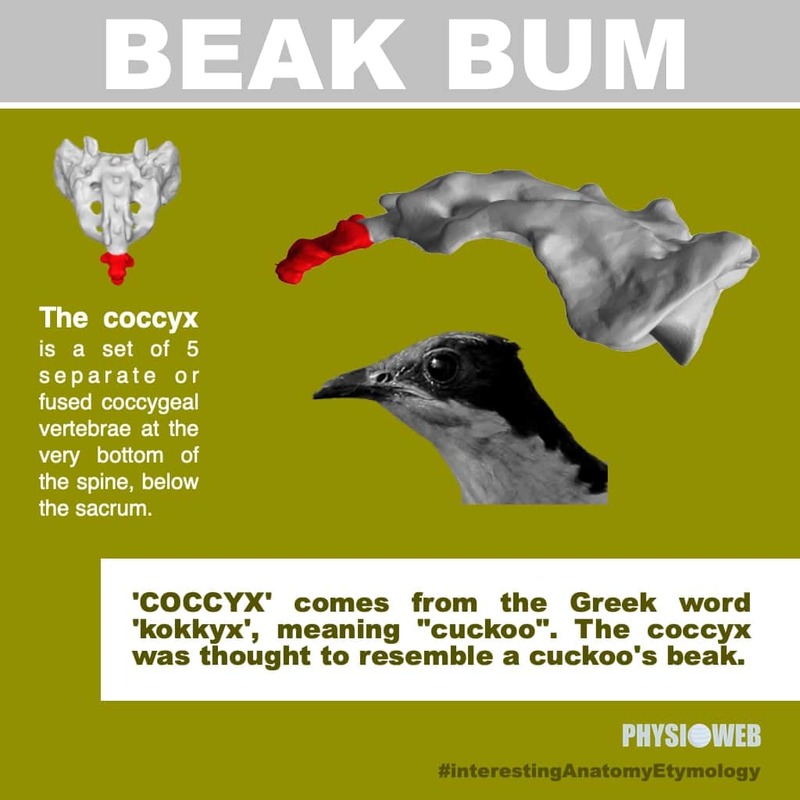 ‘COCCYX’ comes from the Greek word ‘kokkyx‘, meaning “cuckoo”. The coccyx was thought to resemble a cuckoo’s beak. 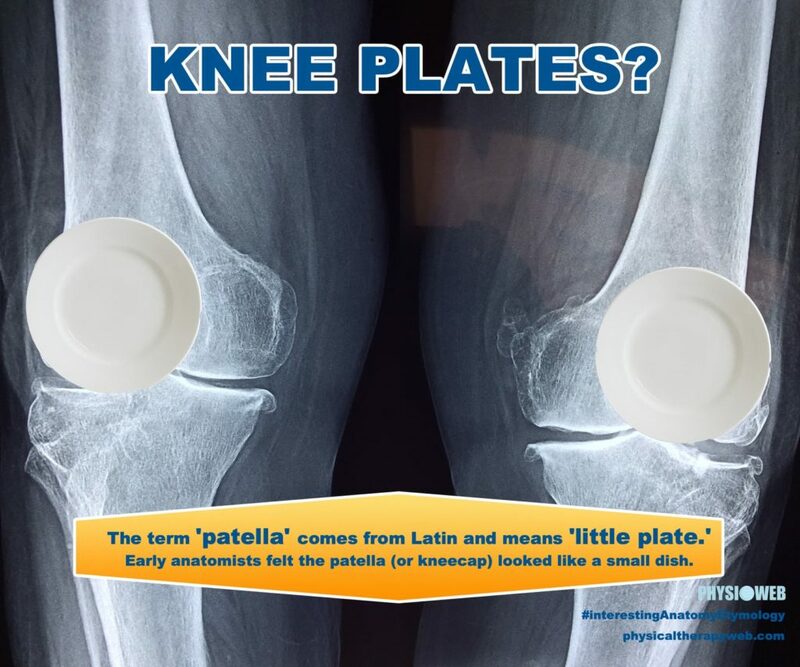 The term ‘patella’ comes from Latin and means ‘little plate.’ Early anatomists felt the patella (or ‘kneecap’) looked like a small dish. 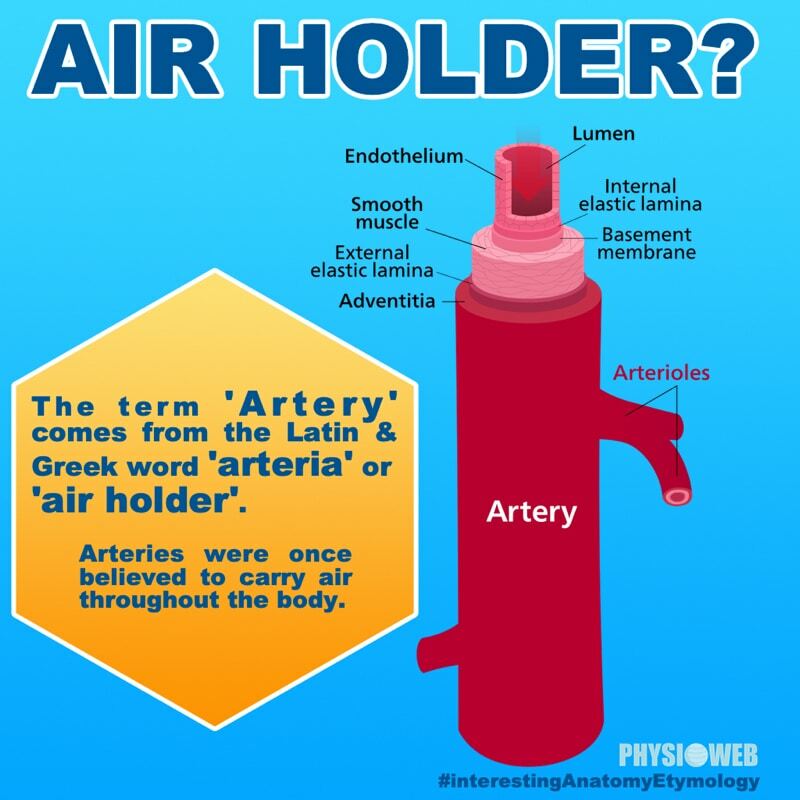 Arteries were once believed to carry air throughout the body. September 8 is World Physical Therapy Day. The World Confederation for Physical Therapy (WCPT) has again put together a great toolkit of information and graphics for sharing and spreading the word on the web and across your social media channels. See below for a video they have put together for this year.